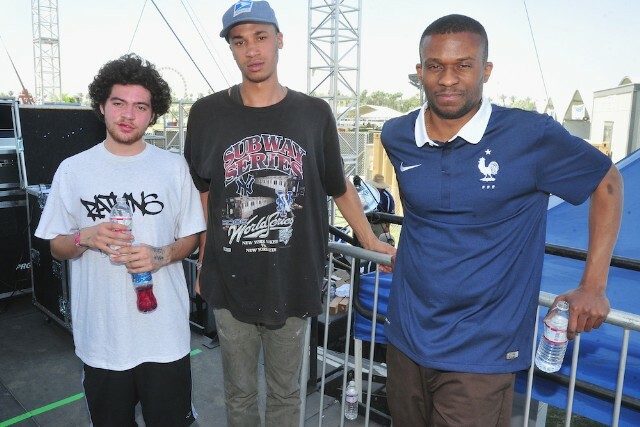 Considering that Ratking haven’t released new material since early 2015, and the fact that Wiki and Sporting Life both released their solo projects in 2015, the trio’s breakup has been rumored for a while. Today, group member Hak confirmed that he’s no longer involved in the project in a new interview with i-D.
Hak, who’s gearing up to release his debut solo album June, was vague about exactly why Ratking went their separate ways. What isn’t vague is that the trio is no more. Yesterday, Wiki threw some possible subliminals in a series of tweets. It’s possible they could’ve referred to Hak in light of the news. Ima make it clear. Bridges burnt are bridges burnt. Ratking delivered the most holistic view of New York in recent memory with So It Goes, their lone full-length effort. Wiki embodied the round-the-way adventurist New Yorker with his gritty rhyme style, while Hak complemented him with his detached melancholy. Sporting Life’s multitudinous production, a mix of boom-bap and dizzying cacophony, delivered an expansive view of the metropolis — the weed stench hovering over fire escapes and the skyscrapers that illuminate the metropolis at night. The only good news here is that it’s not a three-way split: Hak went his own way, but a rep confirmed to XXL that Wiki and Sporting Life are still working together.